Neuroscience advances continue to reveal an ever-growing understanding about child brain development and learning. 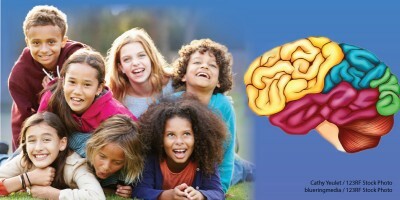 The Pediatric Neuropsychology Diagnostic and Treatment Center encourages increased public awareness and dialogue among scientists, health professionals, parents, educators and policy makers so that we can continue to understand how, and under what conditions, our children learn, grow and develop. Child development and learning are recognized as major health issues. Our children�s health and quality of life impact global societal health. Together, we can guide children�s health, learning and development that promotes their potential for success at home, school and beyond. "Commitment to Children, their Health, Development and Learning"
Continued growth as a Neuroscience Health Program, advancing reasoned and compassionate knowledge about child development and learning, promoting the quality of life of children. We value respect of children and respecting them equally. We respect the quality of life of all children and their right to learn and develop to their fullest potential. We value a child's growth of mind, heart and spirit. We value that optimal learning and development requires relaxed alertness. As a child learns and loves, a child's spirit grows. We value the potential of each child, recognizing all kinds of minds. We value that each child is unique and possesses a dynamic capacity for learning and growth. We value that learning is a major health issue and that the health and development of children impact global societal health. We value integrity: children learning empathy, caring, honesty, trust and respect of self and others as they journey through life. We value reasoned and compassionate knowledge and specialized training and excellence in performing our service. We value our responsibility to Neuropsychology as a Neuroscience discipline promoting an increased understanding of the Brain - Behavior relationship.